Home » Did You Know Spider Veins Could Be Removed? This Is How. 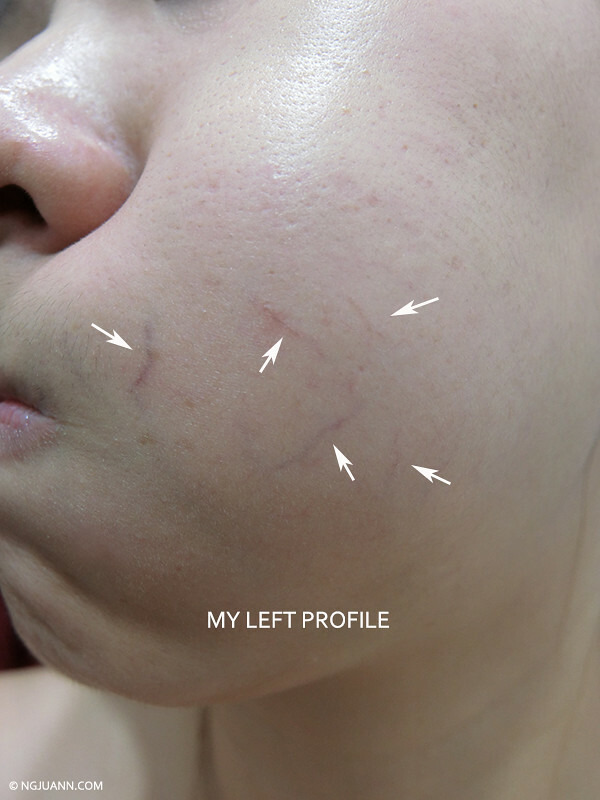 I grew up with these spider veins on my cheeks, almost never realising their presence until lately when I was asking my husband how’s my complexion and he said it was okay but those dark purple lines are like “scars on your face”. :O I didn’t realise it was visible to others. I didn’t think it was possible to remove spider veins from my cheeks. What I have always done was to cover these broken capillaries up with concealer. 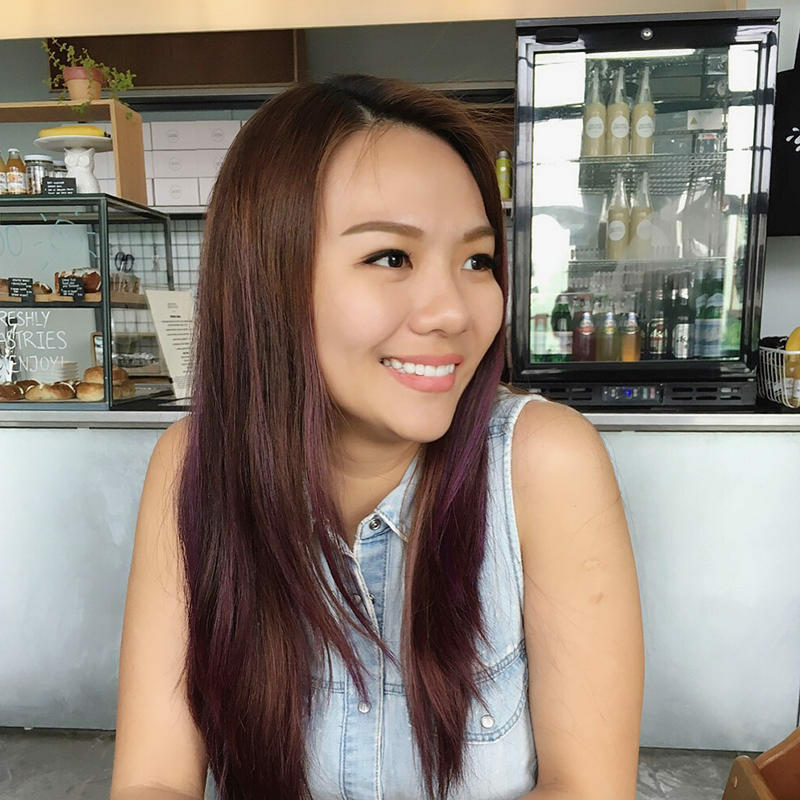 I was just chatting with Dr Hui Yun, at one of my recent visits to The DRx Clinic and guess what, she said spider veins can be easily removed with a laser treatment. Here’s a picture of my left cheek with a mixture of reddish and deep, dark purple veins. How silly that I lived my whole life not knowing such a treatment existed!! There actually is an easy, fast, and non-invasive treatment that CAN diminish the visibility of broken capillaries and spider veins, with NO down time! This laser therapy is effective for superficial, red colored, and thin spider veins, but is less effective for larger, deeper and darker colored veins. Dr Hui Yun was telling me the veins that are dark purple in colour on my left profile will take multiple treatments before it will completely be gone. The combi laser treatment uses a combination of yellow and green light to treat a number of skin conditions – acne, rosacea, red scars, broken capillaries, pigmentation, dark eye circles, general skin lightening. The specific wavelength of light can be adjusted so that it is either selectively absorbed by melanin cells to remove pigmentation, or by red blood cells to remove tiny facial blood vessels contributing to redness. The best part about this laser is that it does not need any downtime, and is extremely safe. My therapist thoroughly cleanses my skin and puts on laser-protective goggles over my eyes. 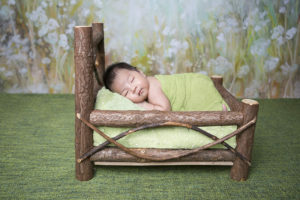 Dr Hui Yun does her best to make me feel as comfortable as possible. The therapist switched on this machine that blew very cold air to my face constantly to minimise any discomfort to the skin. An invisible laser beam is directed at where my spider veins are and heats up veins in the outermost layers of the skin. The procedure is really quick and before I knew it, Dr Hui Yun was done. Afterwards, a cooling gel is applied to further reduce any remaining discomfort that I felt. I would describe it as having little rubber bands snap against your skin. I did not have any form of anesthesia for this (but you can request for it if you want to). 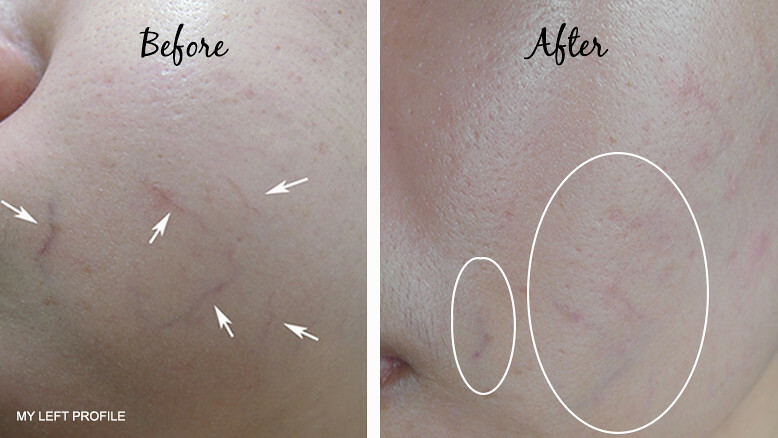 The sensation during the treatment was very tolerable – anything to remove spider veins yo! On my left profile above, you can see that some of the spider veins on my cheek have lightened incredibly or disappeared entirely! The veins that started out deeper and darker than others would naturally take more than 1 treatment to remove it completely. I loveeeeeeee DR HUI YUN!!!! Every visit to her is a step closer to perfect skin I tell you!! My skin is far from perfection but I love the improvements I see.